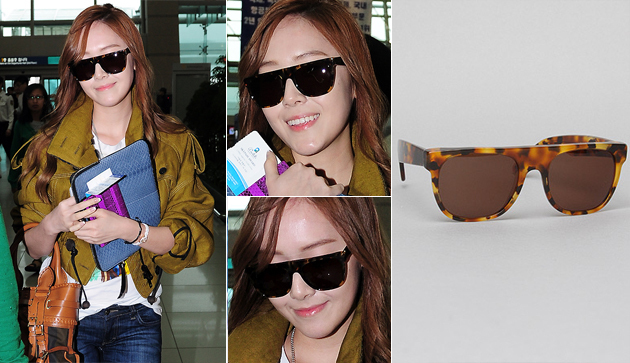 On April 25, 2012, Girls’ Generation member, Jessica, stunned fans with her casual-chic airport fashion at Incheon airport. For her look she wore pieces from Burberry Prorsum as well as the Flat Top Small Sunglasses in Dark Havana from Super Sunglasses. Luckily for fans, the glasses are currently available at Karmaloop for $156.00, as always for up to 20% off, use repcode Kstyle. On March 23rd, 2012, Girls’ Generation headed out to Malaysia to perform for Twin Towers 2012 LIVE. For their trip, the girls accessorized with various sunglasses from Ray Ban and Super Sunglasses. 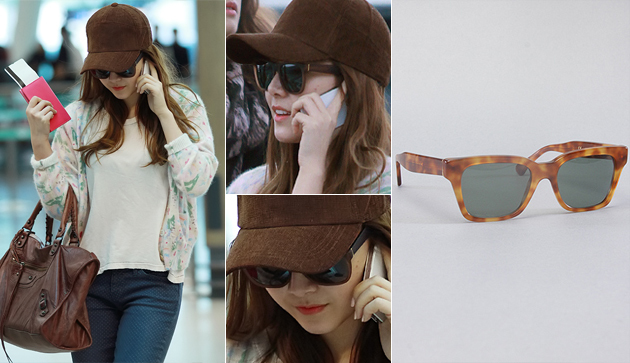 Jessica wore my favorite pair, the America Sunglasses in Light Havana from Super Sunglasses, which is currently available at Karmaloop for$145.00. 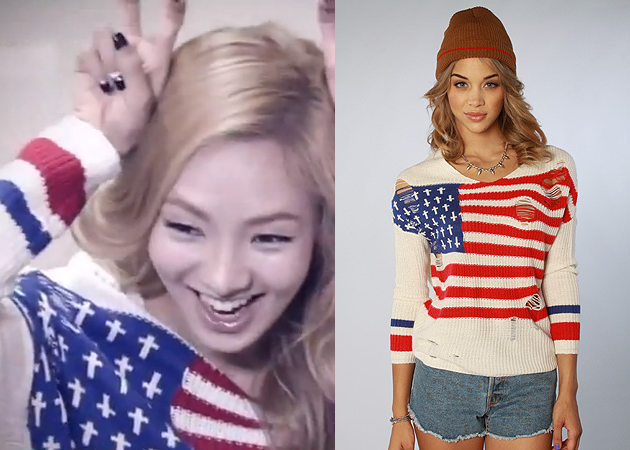 A bit pricey, I know, but Rep code Kstyle can save you up to 20% off your purchase!~ Happy Shopping! I would like to apologize for the lack of posts, it was midterm week so I was stuck studying BUT I have been monitoring the site daily and reading comments so no worries. Also, I unfortunately no longer have Photoshop, so if anyone can be a doll and direct me to a legit place to download it. I have had a hard time doing so, so until then posts will be slow. Sorry. For some time now, SNSD‘s Yoona, has been spotted carrying the adorable Rilakkuma Bear iPhone 4 case at airports. Luckily for fans who want to purchase the real version of the case, it is now available through PLNDR‘s Popup Yamamoto sale. It is on sale at 38% off at just $14.99! In order to access this sale and more you have to become a member here. In addition to the sale, you can save 10% of each item from your PLNDR order with repcode: Kstyle. Not to mention, if you are a first time shopper on PLNDR you will receive $10.00 store credit after your first purchase. Happy Shopping!